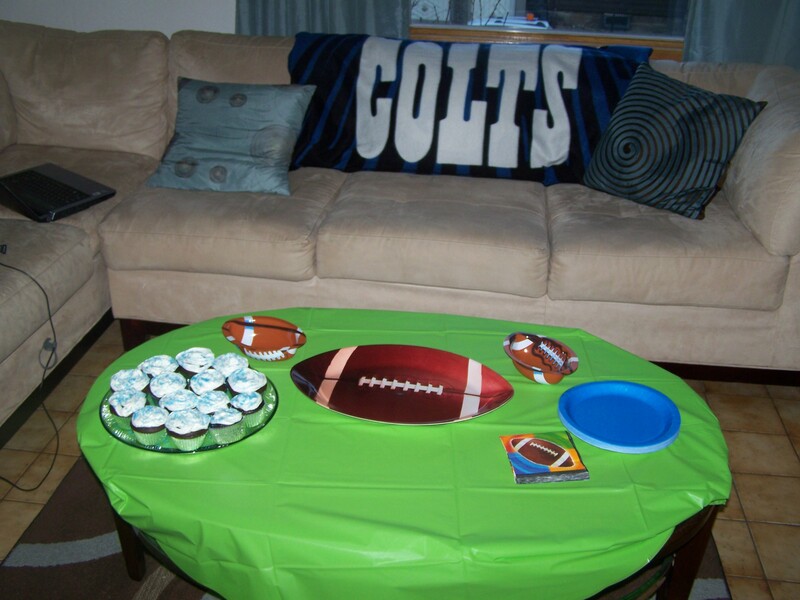 For those who don’t know, I, Rachel, am a huge football fan–the Indianapolis Colts in particular. Robert played football in HS and is a fan, but not to the extent I am. Before we were married he was a Titans fan, but, as he tells people, now he’s “married in” to the Colts. 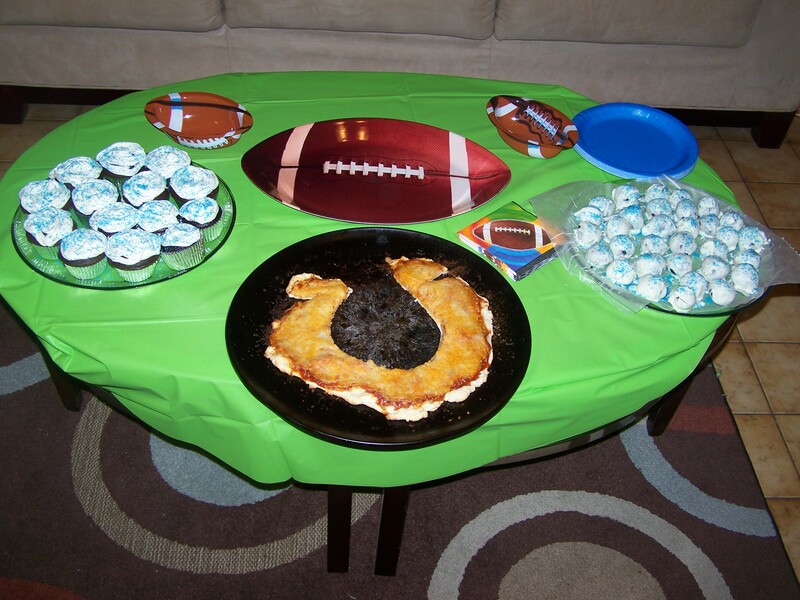 Needless to say, the TeamEv house was super (haha) excited for the Superbowl last Sunday. We’ve been following all season long, calculating who needed to win, who needed to lose, who’s injured, who’s stepping up, etc., and finally: This.Was.It. Everything fell into place perfectly and we made to the big game. What to do at the TeamEv abode? Why, bake blue and white desserts of course! We had a few people over to watch the game. Robert made salsa and a shrimp dip. I made blue & white cupcakes and blue & white Oreo balls. We also had a few other finger foods, but these were the specialties. And yet, it was all for naught. Don’t get me wrong, it was fun, until about the 4th quarter. Then I needed to be alone, it really would have been better for everyone. I hated to see my boys falling so flat. So many opportunities that we couldn’t do anything with. It just wasn’t our day, and what a day to have a bad one. And yes, that is a horseshoe shaped pizza. P.S. Well played New Orleans Saints, well played. I Miss Football… sooo bad. I Love Our COLTS but like Rachel I needed some time alone; just couldn’t talk about it for awhile. But times pases and school goes on. i am faced everyday with Saints wearing coeds, but i judge not. going back to school or did i leave yet…anyway it’s been a good thing for me. It’s helped me find some of the pieces of the puzzle that i am; some i thought i might have lost. Silly me GOD doesn’t play that ; all of the pieces have been right there under the snow waiting for spring.